Residents are fortunate to be able to use the resources of the Colin Miller Library on the 4th floor, over 2,000 books, both regular and Large Print are available, along with DVD’s and some audiobooks. The library catalogue directs readers to the Fiction, Nonfiction and special collections. There is a particularly good collection of oversize, coffee-table type books with elegant photographs and artwork. As you might expect, the library has a sizeable collection of plays, theatre and performing arts material. Some of it is hidden away in our Reference Section for safekeeping, but volunteer librarian Shirley Lewis will give access upon request. Volunteer librarians keep the collection in good order, and reader guidance is available through Hot Lists, Monitor listings, Library News and the library Resident Recommendations bulletin board. 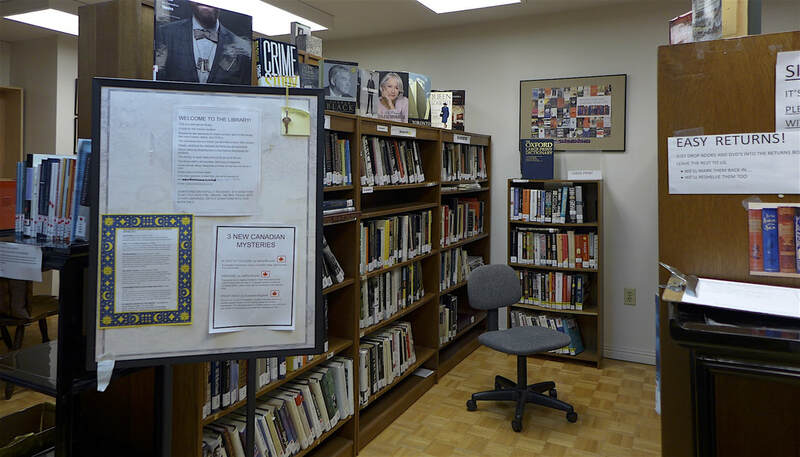 Residents are encouraged to donate current material, and there is a significant collection of popular reading including mystery, thrillers, and bestsellers. Toronto Public Library enhances the regular collection by depositing 200 books on a rotating basis, so that their 200 books are changed every couple of months. Come and see the Colin Miller Library for yourself. It’s on the 4th floor, to the right of the elevators.